With 324 new and 4,796 used Nissan Juke cars available on Auto Trader, we have the largest range of cars for sale across the UK. The original mini-SUV is distinctively styled, good value for money and well equipped. The chassis, build quality and refinement, however, are all below the standards of what you'll find in the best cars in this class. Nissan Juke 1.5 DCI N-TEC 5d 109 BHP SAT NAV+BLUETOOTH+CRUISE CONTROL! 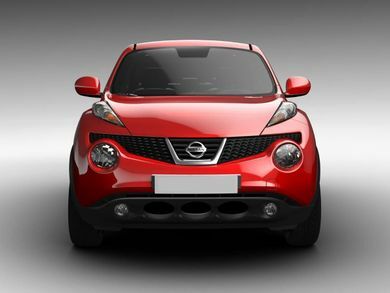 What is the top speed of the Nissan Juke? Nissan Jukes offer a top speed range between 0mph and 115mph, depending on the version. How much does the Nissan Juke cost? Nissan Juke on-the-road prices RRP from £15,200 and rises to around £21,820, depending on the version. How much mpg does the Nissan Juke get? According to the official figures, the Nissan Juke's fuel economy ranges between 34mpg and 71mpg. 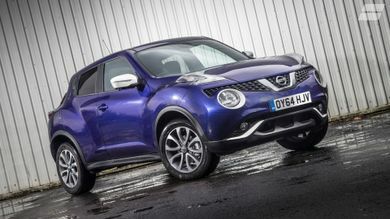 What is the tax price range of the Nissan Juke? What kind of car is a Nissan Juke? The Nissan Juke is a compact five-door SUV that competes with cars such as the Peugeot 2008, Renault Captur and Suzuki Vitara. Is the Nissan Juke a 4x4? No. The Nissan Juke, despite its tall off-roader looks, is only available with front-wheel drive. Some older versions, however, were offered with four-wheel drive. What dimensions is a Nissan Juke? The Nissan Juke’s dimensions are 4,135 mm L x 1,765 mm W x 1,565 mm H.